Our range of products include fish nets. 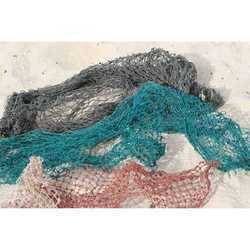 We are widely acclaimed all across the world for our product, Fish Net. These are premium quality HDPE nets, that are manufactured using high grade base materials, like PVC and nylon. These extremely soft materials, that ensure no harm to the the skin of fishes, while fishing in any aquatic source. We offer fish nets in various sizes, shapes and length. Looking for Fish Nets ?